The reform that President Obama made a centrepiece of his campaign for financial regulation earlier this year gets the short shrift in the bill proposed by Senator Chris Dodd today. The so-called “Volcker Rule” which would prohibit banks from proprietary trading or investing in hedge funds and private equity funds will not become part of the regulatory rules if the bill is passed. Instead, Dodd’s bill merely requires regulators to implement Volcker rule in the future. Which is to say, Dodd’s bill skips over the tricky question of how this can be done. 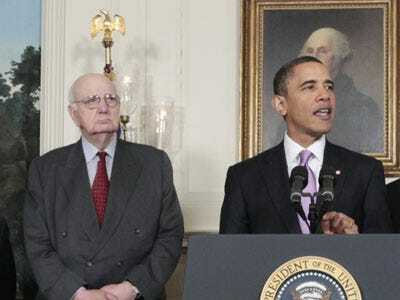 Critics of the Volcker Rule have said that the rule is unworkable because the divide between prop trading and customer service is too blurry. Dodd’s bill seems to adopt this position, foregoing a bright line legislative approach and opting instead to give regulators discretion to craft the rules. Some supporters of the Volcker Rule will no doubt cry foul. The delay and discretion given to regulators will no doubt give the banking sector a lot of time and opportunity to exercise its influence. Any rules adopted further from the financial crisis are likely to be less restrictive on banks. As public outcry over the financial crisis fades, such rules will be subject to far less public scrutiny. It seems inevitable that the delay in the rules will be a matter of years. The bill requires the regulations be adopted after a study by the Financial Stability Oversight Council, a body that does not yet exist and is created by the bill itself. So the council will have to be formed, officials and aides hired, and the study undertaken before any Volcker Rule is even brought up for consideration. By then we may have another President. And hardly anyone will remember what the fuss about the Volcker Rule was all about.